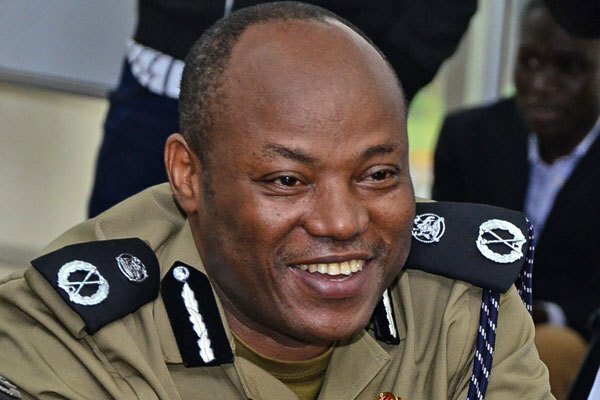 The former police director in charge of Crime Intelligence, Col. Ndahura, has pleaded guilty to charges related to interfering with the process of law in the latest Uganda news. Col. Ndahura who was early this year recalled into the army was arrested two weeks ago in an army swoop that cracked the whip on a number of cronies of former Inspector General of Police, Gen. Kale Kayihura. On Friday, he appeared before the Unit Disciplinary Committee (UDC) and charged with Interfering with the process of law, contrary to Section 166 of the UPDF Act 2005 before being remanded to Makindye on July 13. Ndahura’s wife, Sarah Ndahura filed for a habeas corpus before justice Musa Ssekaana of the High Court Civil Division in Kampala ordered the army to produce him to the court. On Monday, Ndahura’s lawyers of Ochieng and company advocates and the representatives of the Attorney General, who is the respondent in the matter returned to a brief court session on the updates of the case in which the latter had been asked to produce Col.Ndahura. Meanwhile, the Chieftaincy of Military Intelligence (CMI) director Brig.Abel Kandiho through the Attorney General told court that Col.Ndahura had been charged and pleaded guilty to the charges by the army court. According to documents indicating the army court proceedings, a seven man panel consisting of Col.Tom Kabuye as the chairman and six members together with Lt.Nekemiya Wasswa(legal advisor) and Lt.JE Arihihi(prosecutor) handled the matter. The document also shows that the accused person (Col. Ndahura) was not represented in court but followed the proceedings well. 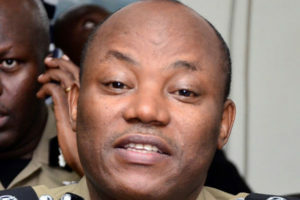 “Col.Ndahura between February and March 2018 while at police Crime Intelligence headquarters, Bugoloobi Kampala district, fabricated evidence to wit a document containing a list of Rwandan refugees justifying the kidnap and illegal deportation of the refugees to the Republic of Rwanda which was subject of prosecution in UPDF/GCM Vs SCP Joel Aguma,SSP Nixon Agasiirwe and 7 others,”says in part the document presented to the judge on Monday. The document also says that the Lt.Nekemiya Wasswa, the court legal advisor explained the ingredients of the offence to the accused before being asked whether he understood the offence. “I have heard and understood sir,” replied Col.Ndahura.